Attention development subscribers: the July 2017 issue of Jump Point is now available in your subscription area. 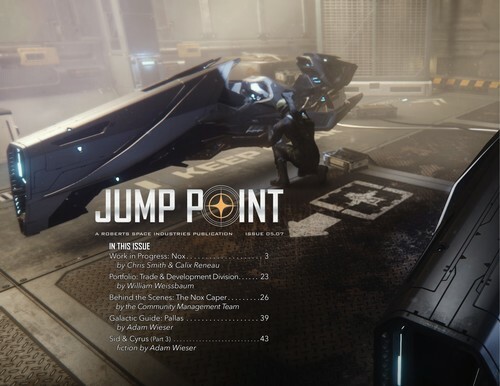 This month’s Jump Point features the development of the Nox space bike! That, plus a look at Trade and Development, a visit to the Pallas System, behind the scenes with the community engagement team and an all-new chapter a Star Citizen serial! Grab your copy today.